Diagonal Size Choose an option30"32"37"40"42"46"50"52"55"57"60"62"65"67"70"72"74"80"84"90"92"100"112"116"
A Dual Touch Foil gives great responsiveness for projects that are on a smaller scale, such as a “point-and-tap” kiosk. It is also well suited for displays that are used in a presentation setting. 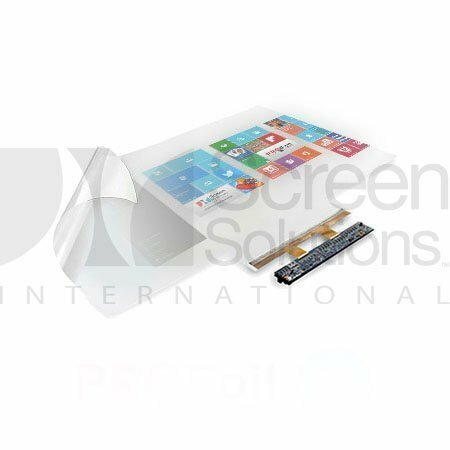 If you plan to only have one or two people using the screen at once, then a dual touch foil will give you all the coverage you need at a lower price point. Each dual touch foil contains 2,048 individual touch sensors that allow you to easily use the drag, drop, zoom, or even right-click gestures just as you would on a standard mobile device. Screen Solutions International ships every dual touch foil order in a secure tube and/or box to ensure its safety no matter how far it is traveling. Each foil is carefully assembled and tested to ensure everything works perfectly upon installation. If you would like more information, you can contact us or visit our sister-site PROFoils.com. *Custom sizes are available. Call 1-888-631-5880 for details. Each dual touch foil is listed by its diagonal size according to a 16:9 aspect ratio. For specific measurements, please view the information below. *Note: These dimensions reflect the active area, and do not account for any excess material that surrounds the edge of the foil. When using a PROFoil, its responsiveness is the critical factor to consider for the end-user experience. In order to give customers a simplified way of measuring responsiveness, touch foils of all types are judged by two main aspects: the number of touch points and the resolution. 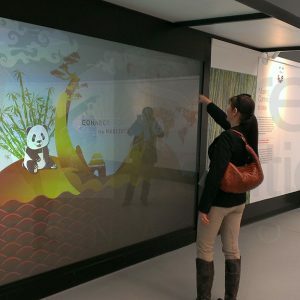 A “touch point” is simply any time a user is interacting with the screen. For every touch point that a foil can handle, another source of input can be tracked simultaneously. For instance, if a foil was labeled as “10-point,” that would mean that up to 10 inputs (i.e. fingers) can be used on the screen at once. The “resolution” of a foil is an indicator of how accurately it can track touch input. This accuracy is determined by how many sensors are present in the foil. For instance, a standard dual touch PROFoil has slightly more than 2,000 input sensors and provides a resolution of “2K.” A 10-point PROFoil, however, has over 4,000 input sensors and provides a resolution of “4K”. This allows a 10-point foil to track touch input twice as accurately as a 2-point foil.